We are a leading Service Provider of pallet stretch wrapping machines from Bengaluru, India. Since the inception of our organization, we are offering Pallet Stretch Wrapping Machines to the clients. These consist of automatic tension control system and find application in the wrapping and printing. We have used the latest version of the technology in order to manufacture these pallet stretch wrapping machines. 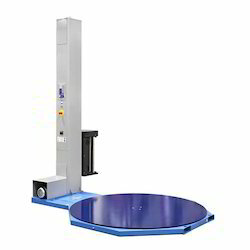 Finally, we deliver these wrapping machines in the allotted time frame to the clients.